It was one of those moments when everything started to make sense. It was March 2010 and I was at Labour North Conference in Sunderland. Phil Wilson MP for Tony Blair’s old constituency of Sedgefield, was talking about how they had taken on the BNP. He talked about getting out the old Mineworker banners that used to be held aloft – with pride – during marches, protests and strikes. On those banners were images – many of them biblical – about the brotherhood of man, loving neighbours, valuing communities. He used those banners in the communities that were being blighted by the BNP to explain to people what their values ought to be – and how the politics of hatred being peddled to them was utterly contrary to that. During the economic devastation of the 1980s, communities lost much more than jobs and prosperity. They lost their soul. Communities that used to have a very strong set of values – of solidarity, of decency, of mutual respect – had their heart torn from them – and as a result they had become fertile territory for a vicious and extreme politics that preyed on their sense of hopelessness and despair. 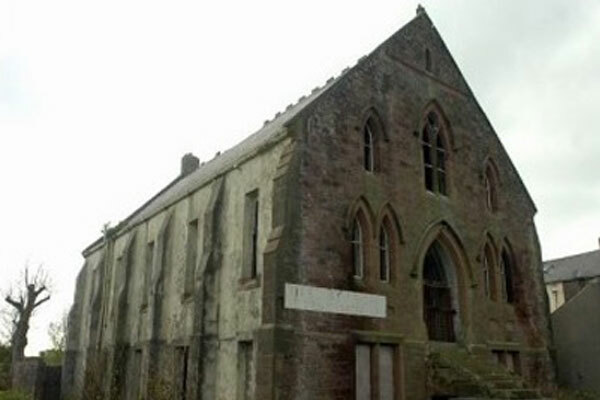 It seemed no accident to me that every time I was out campaigning against the BNP in West Cumbria, I would pass an abandoned church. By abandoned, I don’t just mean turned into a furniture store or a night club. I mean, a building that used to be a church that was now a decaying eyesore: a monument to the abandonment of religion – and also the neglect of that community by the Church. Heaven knows how many abandoned churches could be bought and renovated with the money the Church of England has invested in Wonga or how many Methodist chapels could be re-opened with the money Rev. Paul Flowers squandered at the Co-operative Bank. Yet, the very deep moral code illustrated on the Mineworker banners had not entirely died. When the expenses scandal broke, all hell broke loose. The sense of moral indignation at MPs deeply mired in corruption offended a set of values deeply buried in the soul. People had taken it for granted that MPs were public servants who held that position entirely for the purpose of serving others. Personal ambition, wealth accumulation, dodgy dealing, should have no place in the hearts or minds of those whose job it is to serve us. I agreed with them – which is why I had kept away from politics for so long. Politics was a murky business – and I wanted to be clean. Yet in so doing, I had abandoned politics to the very people who were now mired in the expenses scandal. If I was to take a stand on the expenses scandal – and every other corrupt political practice, I had a duty to stand for public office. What has kept me in politics has been witnessing the corrosive impact of the “Cost of Living” crisis on the people around me. Watching people work 40, 50, 60 hour weeks with no hope of long term job or financial security, standing on a crowded platform for the 6:57am train to London knowing that we’re all paying £4,000 for the privilege, knowing people who are burning the midnight oil on hundreds of unsuccessful job applications only to be called “skivers” by the Chancellor of the Exchequer. Seeing people have hard work “rewarded” with pay cuts and hard-earned wages never cover the bills. Hearing of parents going without food to feed their children and taxpaying immigrant nurses, doctors and teachers face the full force of the rightwing media. I am committed to standing up to a Government that is only interested in protecting high wage earners from tax increases.